It was a day filled with service and commemorations in honor of victims and survivors of the deadly Boston Marathon bombings five years ago. 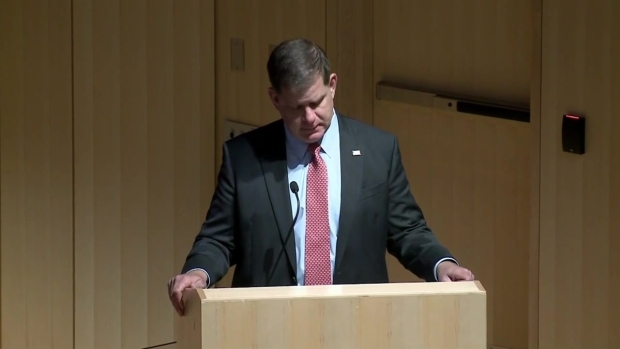 Boston began the fifth anniversary of the attacks Sunday with Mayor Marty Walsh and Gov. Charlie Baker laying wreaths early in the morning at the spots along downtown Boylston Street where two bombs killed three spectators and maimed more than 260 others on April 15, 2013. Governor Charlie Baker and Mayor Marty Walsh, along with victims' families, laid wreaths at the sites of the marathon bombings on the 5th anniversary of the attacks. One wreath was laid by Baker in front of Marathon Sports as bagpipes played in the background. In a another spot, the family of victims Martin Richards and Lingzi Lü were comforted by Walsh as another wreath was placed where the second bomb went off by the Atlantic Fish restaurant. Hundreds of silent people gathered to watch behind barricades. Both Gov. 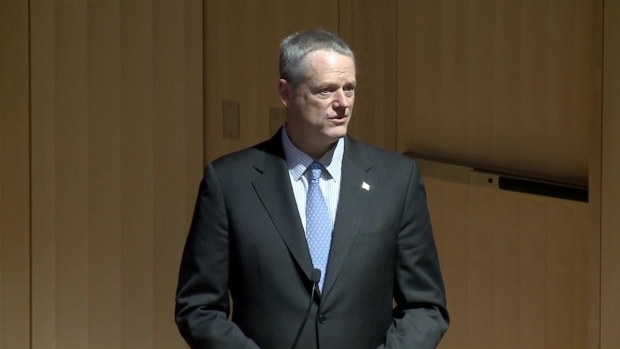 Charlie Baker and Mayor Marty Walsh addressed address families and survivors at a private ceremony inside the Boston Public Library. "There were heroes that day, it's been documented over and over again but we should never forget it," Baker said. "And the heroes represented in many respects the very best of Boston, the very best of the Commonwealth, and the very best of mankind." "On April 15, 2013, our city changed forever but over the last five years, we have reclaimed hope. We have reclaimed the finish line and Boston has emerged with a new strength, a resilience rooted in love,'' Walsh said. 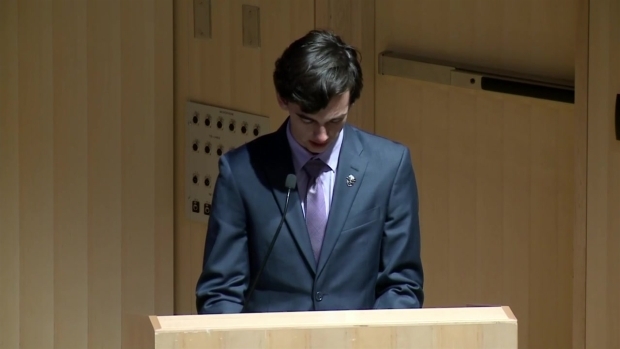 Martin Richard was just 8 years old when he was killed in the marathon bombings on April 15, 2013; his brother, Henry, spoke five years later at a ceremony inside the Boston Public Library. Victim Lu Lingzi's uncle, Sherman Yee, was present at the ceremony and private gathering. He said, "The family has been 'overwhelmed by love and support from all over the world.'" He called Lingzi an "extraordinary girl" who represented the youth that come to the U.S. from China to study. At 2:49 p.m., the bells of Old South Church rang as Boston held a citywide moment of silence to mark the moment five years ago when the first bomb exploded. Sunday is "One Boston Day," devoted to blood drives and acts of kindness.